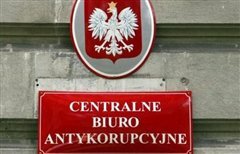 Former head of Poland’s anti-corruption bureau (CBA) Mariusz Kaminski will give evidence before the special parliamentary commission into the gambling law scandal, otherwise known as the Blackjack affair. Kaminski’s will be landmark evidence in a commission which will run for months. It was the CBA which alleged that two business men in Lower Silesia from the betting industry tried to affect the course of a bill going through parliament on the betting industry, which aimed to put tax hikes on betting to go towards investment in the Euro 2012 football championship. The politicians they approached were the now former sports minister Miroslaw Dzewiecki and former head of Civic Platform’s parliamentary party, Zbigniew Chlebowski. Mariusz Kaminski was dismissed shortly after he made the allegations that Civic Platform politicians were lobbying on behalf of the gambling industry. Prime Minister Donald Tusk dismissed Kaminski as head of the CBA on 13 October 2009, accusing him of using his office for political purposes.